Our Nate Certified HVAC Technician will provide you with a Free Furnace Installation Quote. We Offer Flexible Furnace Repair Appointments. Evenings or Saturdays at no extra charge. Prolong the life of your furnace & maintain your warranty with our furnace maintenance service. 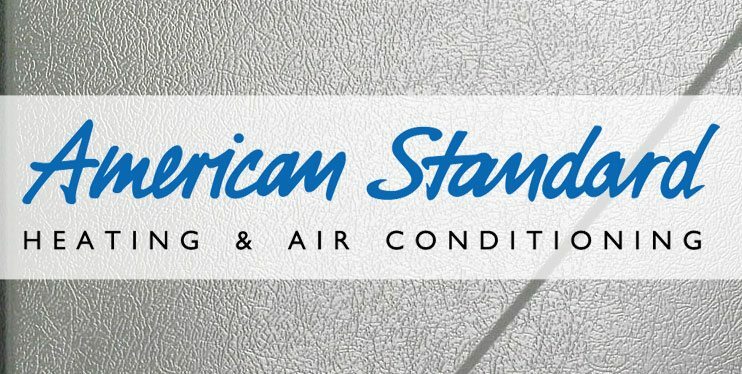 A new American Standard Furnace is only a phone call or click away. At Polar Heating and air conditioning we install, maintain, and repair all makes and models of furnaces including American Standard. If the time has come to replace the furnace in your Chicago home or business, contact the heating and cooling experts at Polar today! If you are into saving money and being treated like the VIP that you are, look no further than Polar. We provide all of our customers with the highest level of customer service, employ highly skilled technicians, and charge affordable prices that won’t break the bank. We also offer financing on all American Standard Furnaces. Don’t waste your time and money on the rest, when Polar is clearly the best! We know that once you have experienced the Polar Difference, you will keep coming back for all of your heating, cooling, indoor air quality, and radiant heat solutions. Click or call today to schedule a free estimate on a new American Standard Furnace. Do you own a home or business in Chicago with an American Standard furnace that needs repair. Well, you have come to the right place. You can always trust the heating and cooling experts at Polar Heating and Air Conditioning to offer the best prices and the service you deserve. Or technicians can repair your American Standard furnace on your schedule. You will never pay extra for an evening or a Saturday appointment. Also, If your American Standard furnace goes out in the middle of the night, we offer 24 hour emergency heating repair services. Thousands of satisfied customers throughout Chicago, NW Indiana, Kankakee, and everywhere between have already experienced the Polar Difference when it comes to furnace repair. Join them and see what a heating and cooling company should be! We look forward to earning your business. 24/7 Support: We will repair your furnace or Boiler 24 hours a day, 7 days a week. Prompt Service: Fully-stocked, dispatched service vehicles allow us to perform furnace and boiler repair, maintenance, and installation quickly. Guaranteed Best Prices: We will beat any reasonable furnace and boiler installation or furnace and boiler repair estimate from any legitimate furnace and boiler installer by up to 5% including Four Seasons Heating and Air Conditioning, All Temp, Home Depot, ARC, Service Experts, Chicago Heating Repair, Hoekstra, Sears Home Improvement, Artisan Heating, or Integrity Heating, call us…we’ll beat it!! Superior Customer Service: Our goal is your complete satisfaction with all aspects of your heating system. New furnace and boiler installation and repair experts: With over 60 years of experience with all types of residential and commercial heating systems, we’ve seen it all. We can repair or install any make and model of furnace or boiler including: American Standard Furnace Models • York Furnace • Lennox Furnace • Carrier Furnace Units • Rheem Furnace Units • Amana Furnace Models • Bryant Furnace Equipment • Coleman Furnace Equipment • Goodman Furnace Units • Heil Furnace • Kenmore Furnace • Ruud Furnaces • Tempstar Furnace Systems • Trane Furnace Units • Payne Furnace Units • Westinghouse Furnace Models • Crown • Dunkirk • Peerless • New Yorker and more! A+ Rated Company: We have thousands of satisfied customers throughout Chicago, IL, NW Indiana, and all of the surrounding communities. Check us out on Angie’s List, Yelp, Facebook, and more!